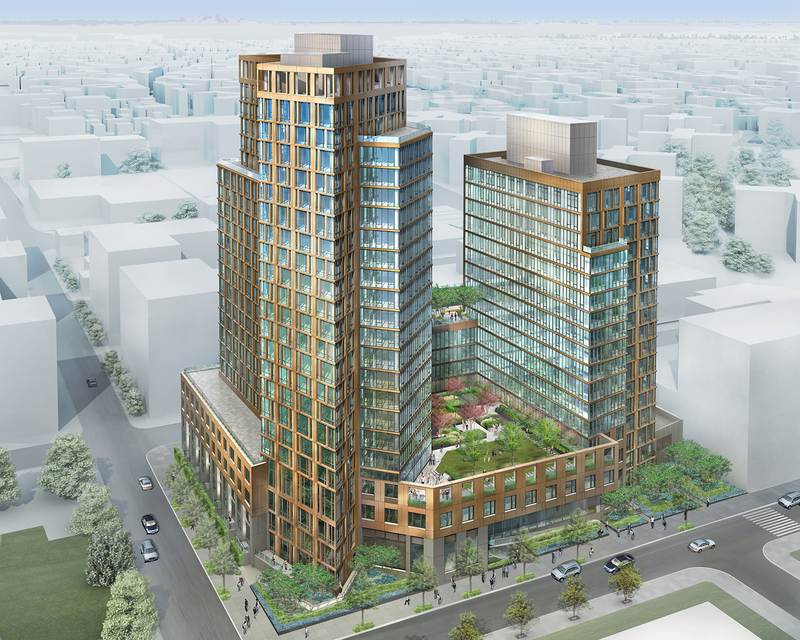 The Hallets Point project in Astoria, Queens, is back on track after Governor Cuomo’s Affordable New York scheme was announced in his budget this month. However, Durst spokesperson Jordan Barowitz told The Architect’s Newspaper that the plan was “never scaled back.” “We just said that if 421-a wasn’t in place we couldn’t move forward, it’s the same plan,” he said. Barowitz also added that if Cuomo’s Affordable New York act hadn’t gone through, Durst would have been forced to scuttle affordable housing on the other projects such as 1800 Park Avenue (which is still in the design phase) and the Queens Plaza Park scheme in Long Island City. 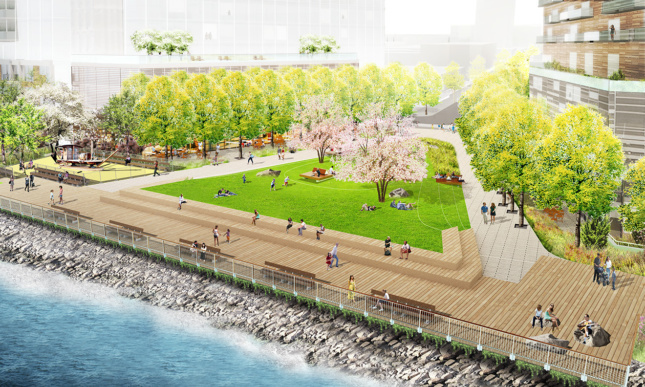 However, Hallets Point—designed by two New York firms Dattner Architects and Studio V—is good to go again. “We’re very pleased we’ll be able to move forward with the project and help revitalize the Hallets community and create a bunch of jobs and hundreds of units of affordable housing,” Barowitz, told DNAinfo.